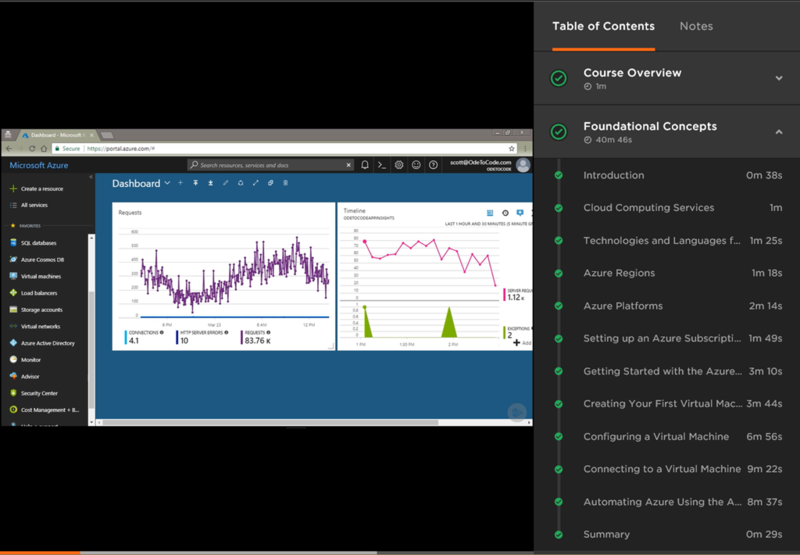 I completely re-worked my Developing with .NET on Microsoft Azure course earlier this year, and the new videos are now available. - I show how to use the Azure CLI for Azure automation from the command line. The CLI works across platforms and the commands are easy to discover. - I show how to setup a local Git repository in an Azure App Service and demonstrate how to deploy ASP.NET Core apps from the repo. - The Azure Functions module uses the new 2.0 runtime to develop a function locally. - The Azure Function is a function using blob storage, Cognitive Services, and Azure CosmosDB.